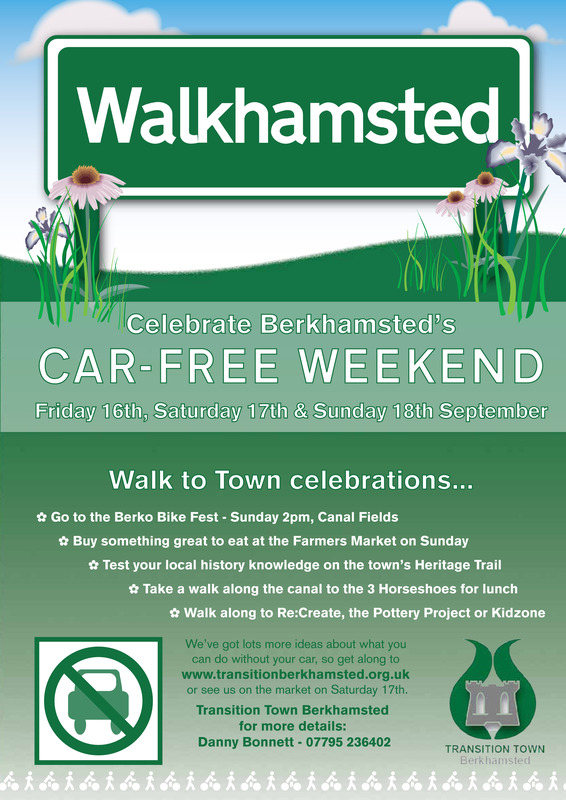 Transition Town Berkhamsted organised another Car Free event this year, but this time for a whole weekend. I was asked to produce posters that were to be displayed over a few weeks, each with a slightly different message/information, but having an obvious link. 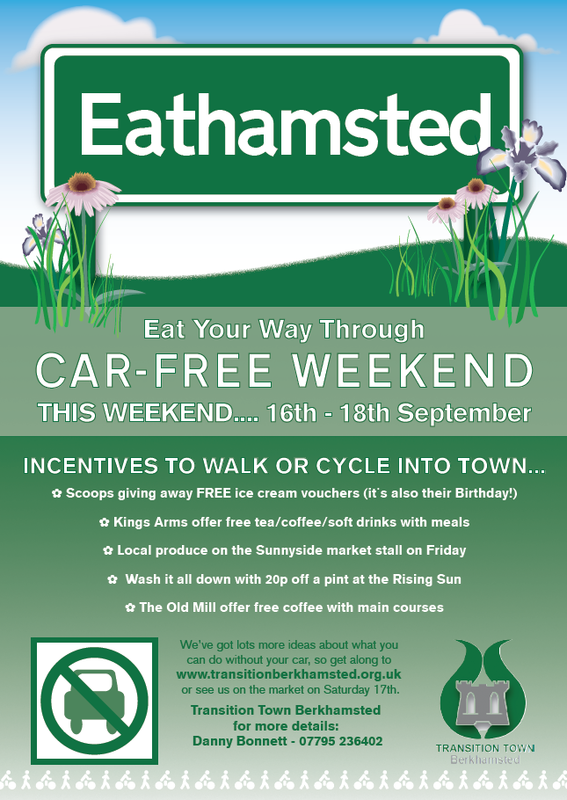 I also produced two DL, three fold flyers that were distributed to local business with the aim to get them to support the initiative by offering incentives for the public who used their services over the Car Free Weekend. 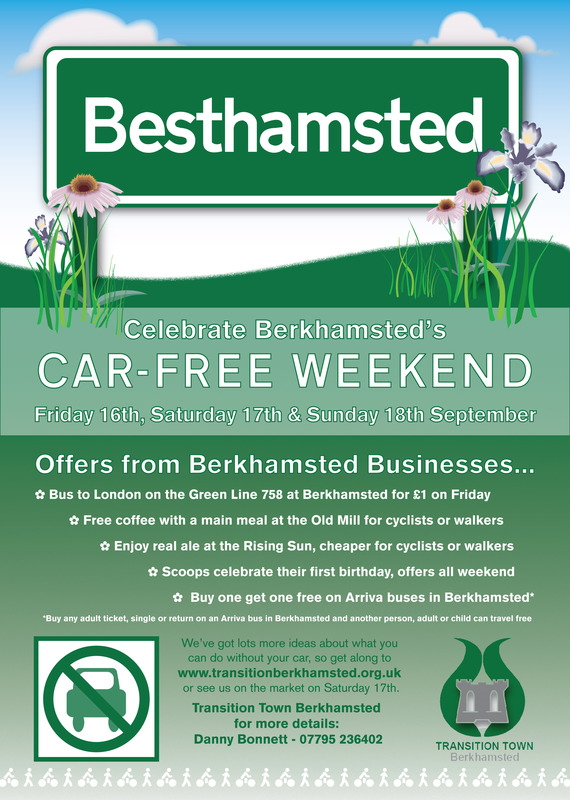 The series of posters displayed here were the four that were put up in shop windows etc. around town to create awareness with the general public.